With Andrew McGregor. Including Building a Library: Vaughan Williams: A London Symphony; New releases, including Kaija Saariaho, Kalevi Aho and Jaakko Kuusisto; Disc of the Week. Building a Library: Ralph Vaughan Williams's A London Symphony. Mark Lowther makes a recommendation from the available recordings. Despite the sound of the famous Westminster chimes, the composer said that while the title may suggest a programmatic piece it was intended to be heard as absolute music. He suggested that "Symphony by a Londoner" might be a better title. 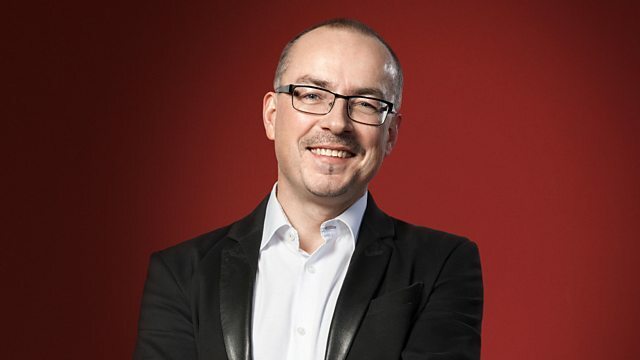 Tom McKinney talks to Andrew about new releases of mainly contemporary music, mainly by Finnish composers; including pieces by Kaija Saariaho, Kalevi Aho, and Jaakko Kuusisto. Performer: Thomas Gould. Performer: William Vann. Singer: Mary Bevan. Performer: Matthew Jorysz. Singer: Neal Davies. Choir: Choir of Clare College, Cambridge. Conductor: Graham Ross. Harmonia Mundi : HMU 907654. Performer: The Norwegian Soloists Choir, Oslo Sinfonietta, Grete Pedersen. Performer: Norwegian Soloists Choir, Oslo Sinfonietta, Grete Pedersen. Performer: Miklós Perényi. Performer: Sir András Schiff. Performer: Daniel Müller‐Schott. Performer: Angela Hewitt. Performer: Bo Skovhus. Performer: Akademiska sångföreningen. Performer: Muntra Musikanter. Performer: Jaakko Kuusisto. Performer: Paavali Jumppanen. Performer: Riitta-Liisa Ristiluoma. Performer: Jan-Erik Gustafsson. Performer: Heini Kärkkäinen. Singer: Pia Freund. Ensemble: Meta4. Performer: Bram Van Sambeek. Performer: Dmitri Slobodeniouk. Performer: Okko Kamu. Performer: Lahti Symphony Orchestra. Performer: Okko Kamu. Music Arranger: conceptualized by Manfred Honeck, realised by Tomáš Ille. Performer: Pittsburgh Symphony Orchestra. Below is a shortlist of other recordings which Mark Lowther also liked, although we can’t guarantee the availability of these discs.